It seems Queen Letizia always has a busy schedule even at home when she is not visiting charities and attending engagements. Today, she received two audiences at Royal Palace of Zarzuela in Madrid. In the morning, Queen received Audience from the Permanent Commission of “UNICEF Spanish Committee”. Letizia, who is honorary president of the UNICEF Spanish Committee, was informed about the current situation of the organization, future projects and the current state of childhood in the world. Later in the day, Queen met with a representation of the Spanish Group of Orphan and Infrequent Tumors (GETHI). An association that was formed in 2012, within the framework of the Spanish Society of Medical Oncology, by members of 17 Spanish hospitals GETHI is a cooperative group dedicated exclusively to the basic, translational and clinical research of orphan and infrequent neoplasms. During the meeting, Queen was informed about the activities and the current situation of the organization. 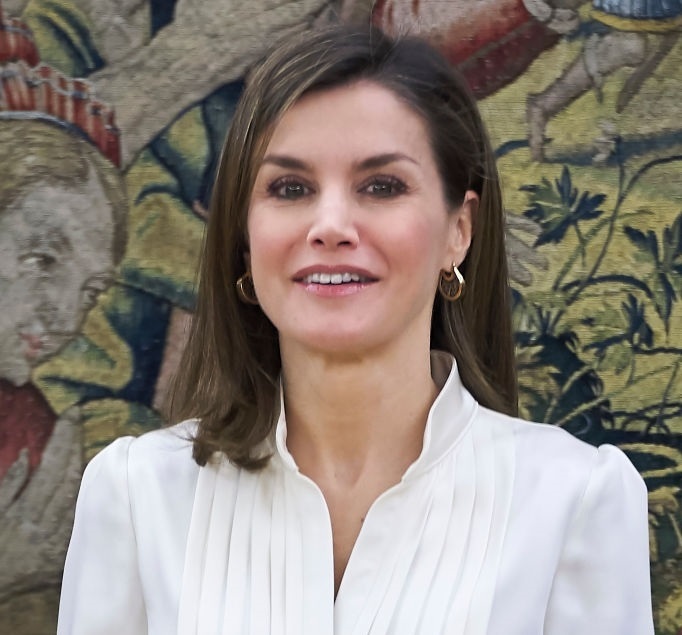 Keeping the look minimal yet stylish, Queen Letizia chose to recycle one of her recent looks during an audience at palace in January. She wore Uterque taupe culottes with knotted belt detail at the waist. 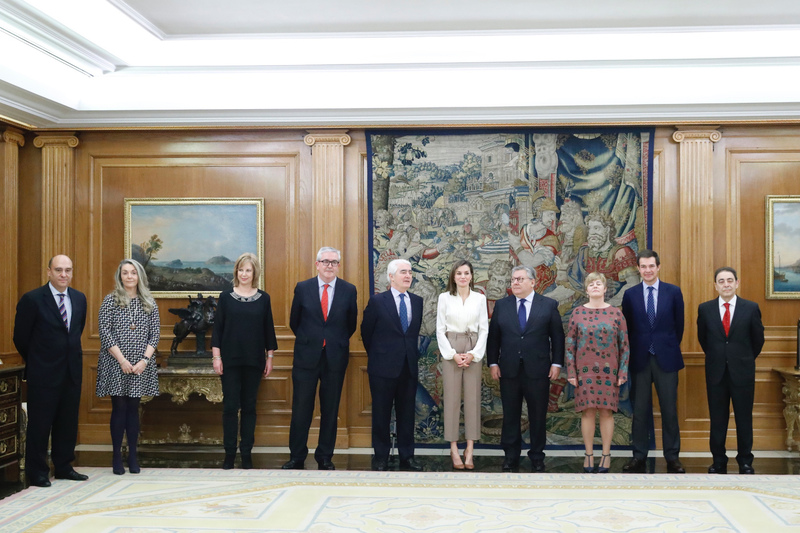 Letizia once again paired the outfit with white silky pleated blouse. The label of the blouse is unknown. She wore her HugoBoss camel colored block-heel pumps and finished her look with a new pair of earrings that are yet to be identified.